Without a river or a bridge, Lufkin worked with the city's engineering department to create a tree, in the East Texas piney woods, on which locks can hang. 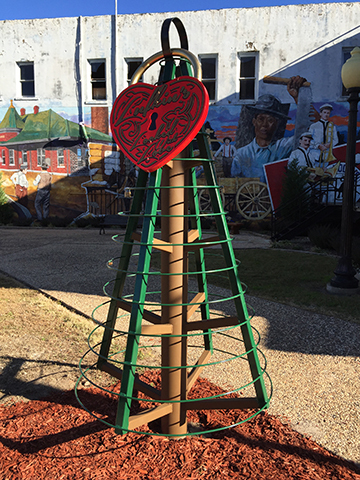 The tree created for the project is 8 feet tall and 4 feet in diameter with rings around the “trunk” for the locks. “The tree represents a strong and growing love, and the rings around the tree represent infinity or the enduring love of a couple,” Thompson said. 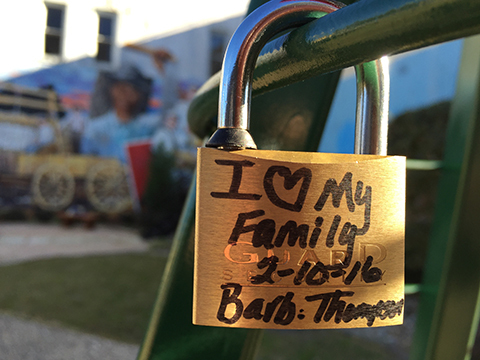 Couples can come to the park, put their lock on the tree, drop the key in the sign by the tree and show that their love is a lasting relationship.